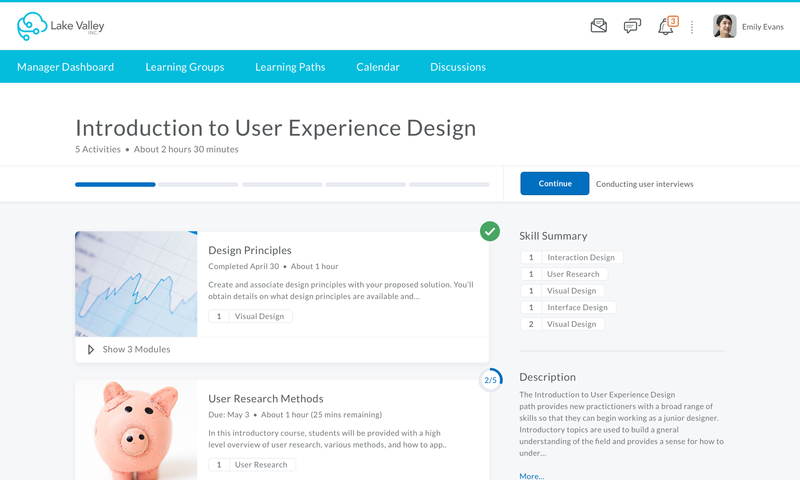 Brightspace is a learning management system designed for academia. I was brought in as the design lead to partner with our product management and engineering leads to help broaden our product for the corporate space. 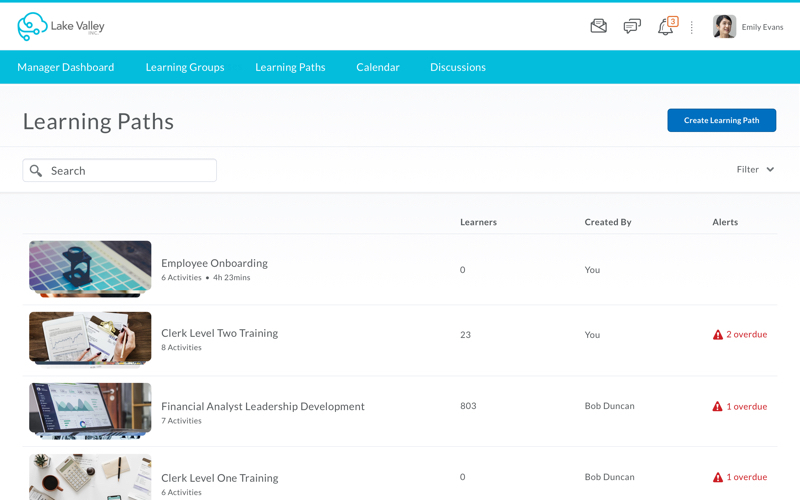 Our organization was losing deals and struggling to meet the needs our of existing corporate users because we didn't have an effective solution for delivering training programs. Phase 1: What's a learning path and why do people care? I kicked off the project by facilitating stake holder interviews with product management, market intelligence, sales, and engineering. 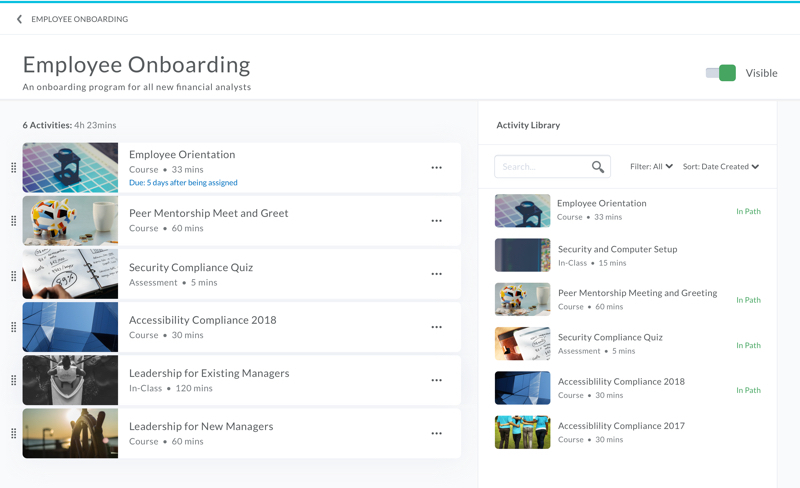 Our lead product manager built this functionality at another company, so I began by soaking up her knowledge, business objectives, and experience. As with most projects, I worked with the team to curate our hypothese and assumptions. We leveraged this information to conduct user research to help build empathy for our users goals and motivations. We spoke with 10 learning & developing managers and 5 learners. We recruited people from medium to large businesses across North America. Learning programs vary in duration from two weeks to 12 months. 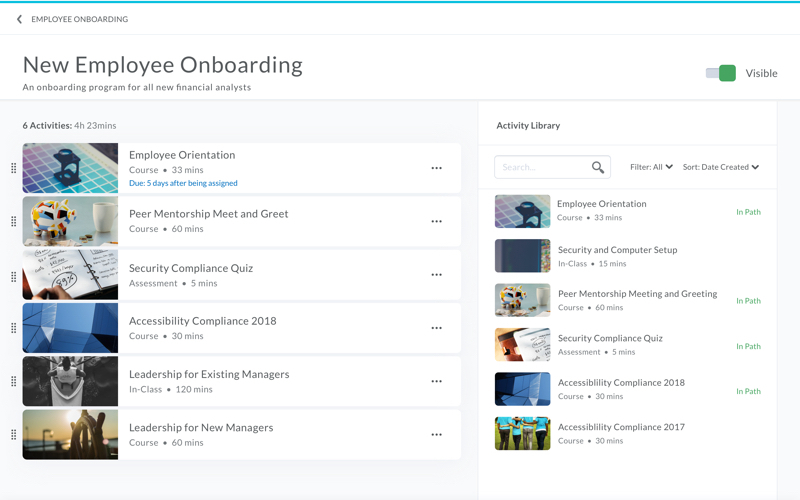 Onboarding programs are the most common use case. Learning programs are often blended between online and in person activities. Learning programs require structured and unstructured activities. Time is the most difficult constraint for professional development. Learning programs contain activities from a divserse subject matter. Employees whose roles are core to a business have more strutured learning prorams. I came in to this phase with user and business inputs. 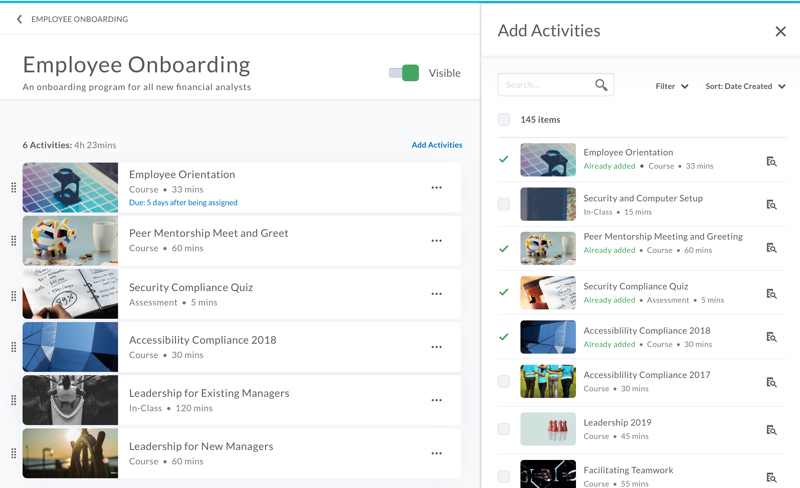 The design team had an added goal of applying this design a larger create experience, so that we can improve the course creation and activity import workflows. Using the data that we learned from our research session, I created concept models and flow charts. A Learning Path can have a lot of associated items (courses, people, meta data). Section things out to make it easier to create and consume. They key aspect of this workflow is organizing and sequencing content. Make the experience front and center. The initial build will only allow for courses. The solution needs to scale for additional activity types. 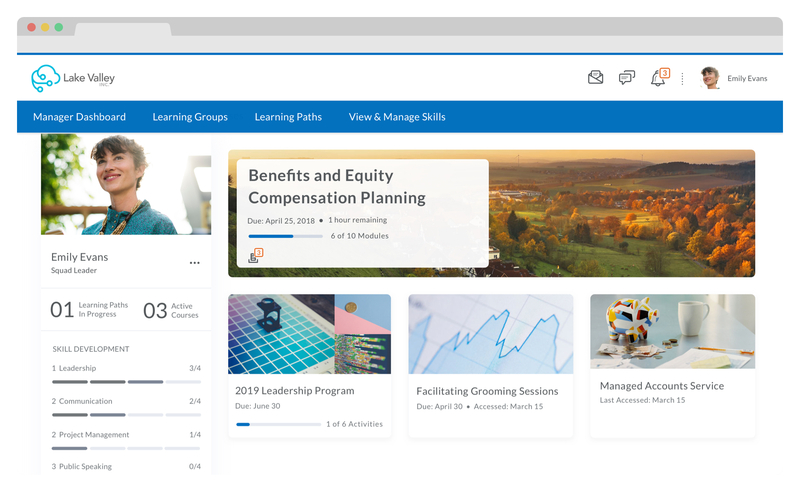 We began working through designs that would give learning and development administrators the tools to create, view, and edit learing paths. There was a lot of complexity involved in editting learning paths because we had to account for impacts to exsiting learners. We conducted multiple rounds of design and user research to align to our users mental models and validate for usability. Another designer on our team was solving for a similar problem and I decided to revisit my work and build alignment with her solution. Our collboration resulted in improved usability and consitency. I've begun documenting this pattern for our design system. We heard from the market that the learner experience was critical to landing deals. As a designer, I was really excited about this workflow because it will have the most impact on our users. The learners experience is much broader learning paths alone. I collaborated with other designers that were solving analagous problems. We wanted to make sure that the solutions were designed holistically. As a team of three designers, we started an immersive design week by creating divergent solution. We came together at the end of the week and converged on a single, consistent experience. Once the design team had an overall design model accounted for, I collaborated with the product management leader to develop a narrative and low fidelity prototype for our long term vision. We knew that the early version of the product would be lacking in fuctionality. We wanted to ensure that the organization had a sense for where were were going. In collaboration with a user researcher, product manager, and designer, I created a a high fidelity prototype to validate our solutions with corporate learners. We tested the solutions with 10 people and had deep conversations to validate that we were designing the right thing, and designing the thing right.